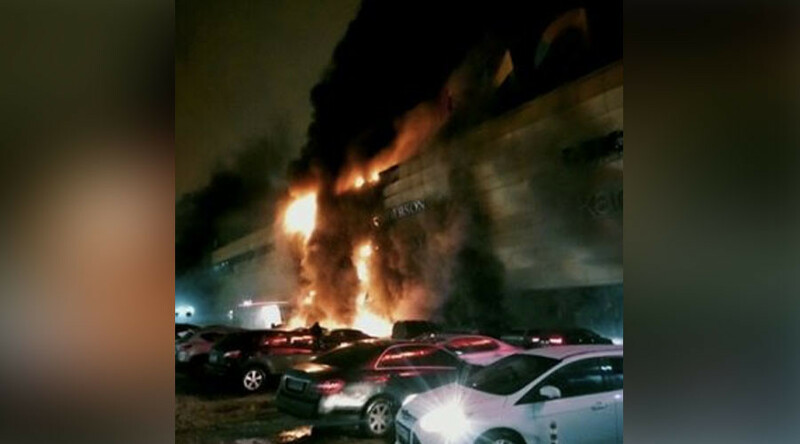 A massive fire engulfed the Rio shopping mall in southwest Moscow, on Tuesday. The emergency services said that about 500 people have been evacuated, TASS reported. Reports suggest that no one has died in the fire, which has been contained, TASS cites emergency services as saying. The fire burned down part of the plastic casing of the building. “An evacuation was announced, first I didn’t understand what was going on, many people were in panic. I smelled that something was burning only on the ground floor, saw the fire at the exit,” an Instagram user wrote under a post with a photo of the burning building. Two cars in the parking lot caught fire, some media reports suggested. What started the fire is not yet clear.